Straight out of the depths of hell comes this beautiful piece of music from former Misfits guitarist Doyle. 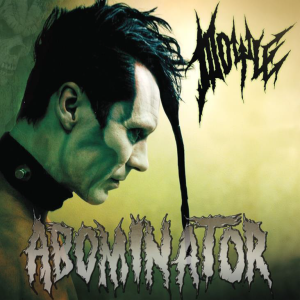 Abominator marks the debut of the band featuring Doyle on guitar, vocalist Alex Story (Cancerslug), bassist “Left-Hand” Graham, and drummer Dr. Chud (Misfits). In true horror metal style, each track contains stories of murder, disembowelment, and necrophilia. Abominator is one dark, doom-impending album in the vein of The Misfits and Black Sabbath. With its creepy lyrical content, growling/melodic vocals from Alex Story and metal guitar and drum sounds Abominator would be the perfect soundtrack to a horror film. Abominator is being touted by critics as “the best Misfits-related record in over a decade,” and for fans of the classic Misfits sound, fear not- you won’t be disappointed. Doyle sticks with the classic horror themed metal sound that The Misfits are known for.